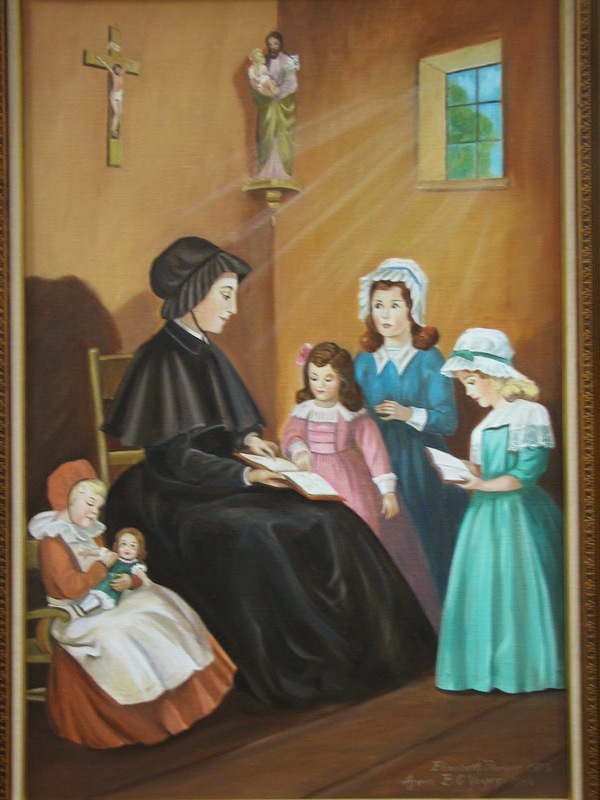 Today, I bring you one of my absolute favorite female saints, St. Elizabeth Ann Seton. I'm sharing the loveliness with all of you over at Like Mother, Like Daughter, too. 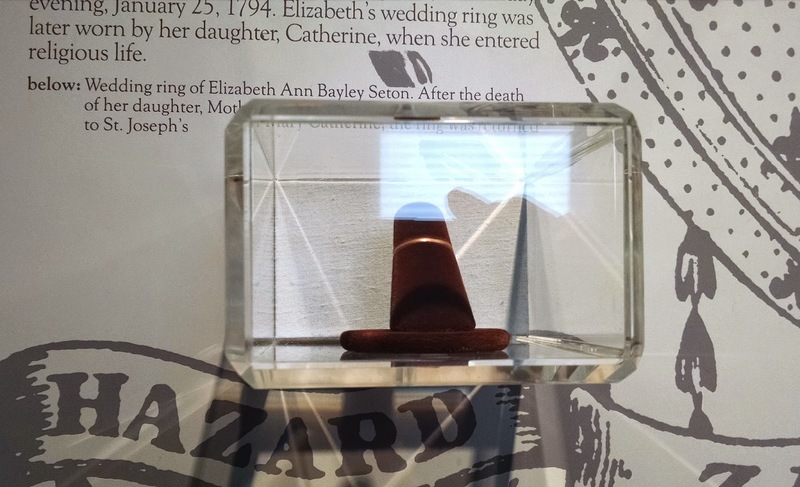 St. Elizabeth Ann Seton got to experience the best of both worlds - first as a married person and mother, and later as a founder of her own religious order. She was one busy lady! I had heard of St. Elizabeth Ann Seton when I was growing up, but never gave her much thought. 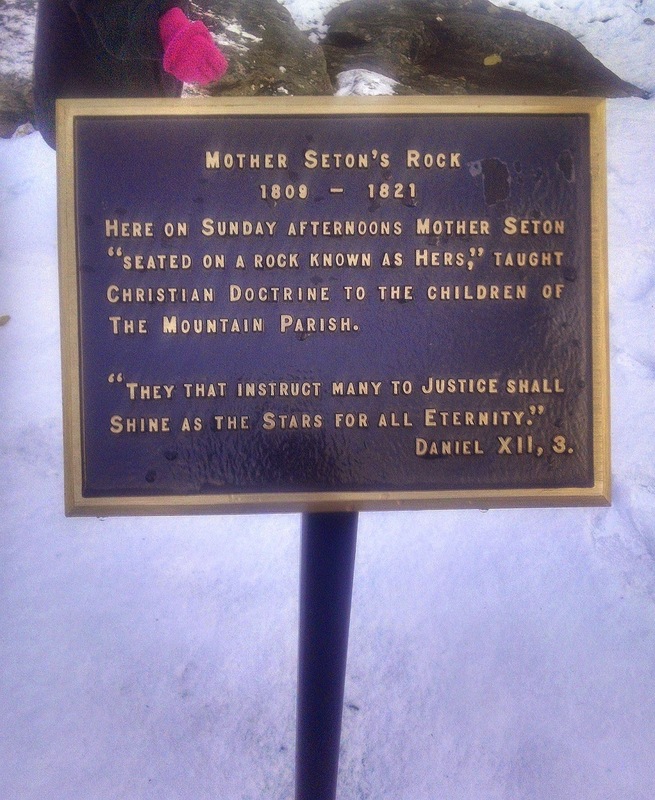 She was brought to my attention again, when Andrew and I were engaged and I visited the campus of Mount St. Mary's for the first time (where "Mother Seton's Rock" is located). That visit put her on my radar. Since then, I've heard more and more about her, and the more I learn about her, the more I love her. 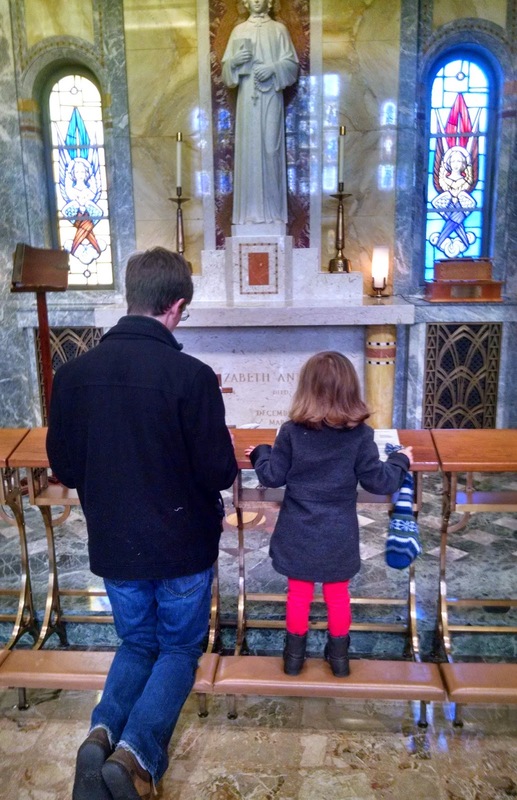 Andrew and Therese praying at St. Elizabeth Ann Seton's grave. In short, Elizabeth was born in America, grew up very privileged, fell in love, married, and became a mother. She was very happy, but a series of sorrows befell their family, worst of all being the loss of her husband. In the course of this, though, while in Italy with her family, Elizabeth came to know and love the Catholic Church. She eventually converted. Her conversion led to much good for the Church. She founded the first Catholic school in the United States, and she inspired the founding of a number of religious. She was a blessing to the Church. What I love about Elizabeth, though, is that her marriage and family were a significant part of her path to sainthood. 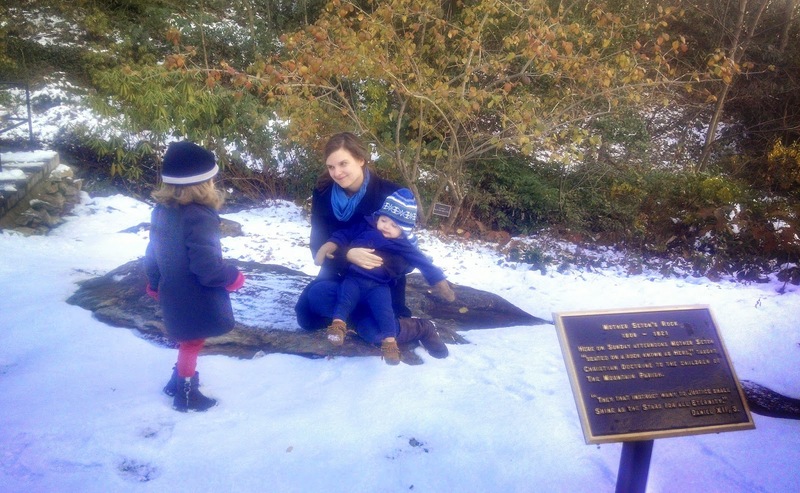 She wouldn't have been the woman she was if it weren't for her husband and children. They didn't hold her back, but rather were a part of her conversion and growth in love. And in the end, as is true with any and every vocation - God used all of who Elizabeth was and had been to serve the Church. Had she not been raised in the family she was in, with such a love of reading and learning, she may not have founded the first Catholic school in our country. Had she not been married and had children, she may not have had such a deep love for the children of others. She knew the vocation to marriage as well as the vocation of celibacy - and she thrived in love in both. She let God use her gifts in both. She shows us that our life doesn't have to be perfect for God to use it! 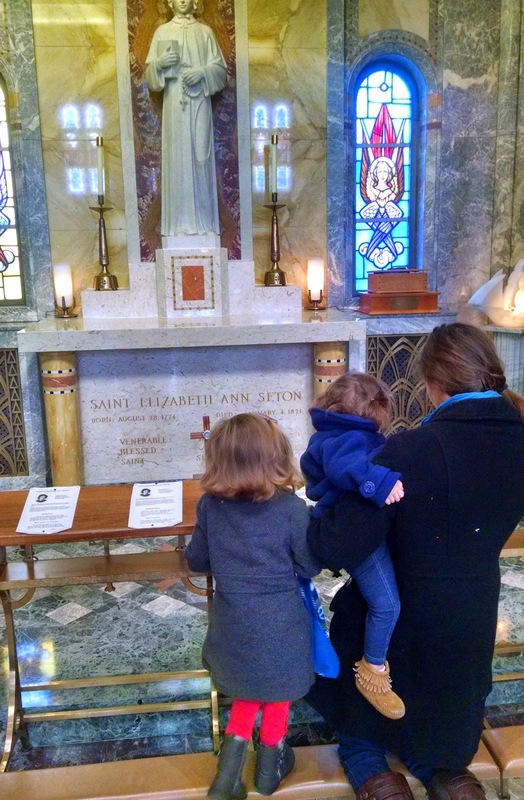 This past November, we visited the National Shrine of St. Elizabeth Ann Seton, including a museum dedicated to her and her story. Of all the relics I've ever seen (and I've seen a number of relics in my lifetime!) the wedding ring of Elizabeth struck me most deeply. Her ring was so simple, so lovely, and it even looked like my own (which made it even more poignant). It was a tangible reminder that God makes saints of married people.